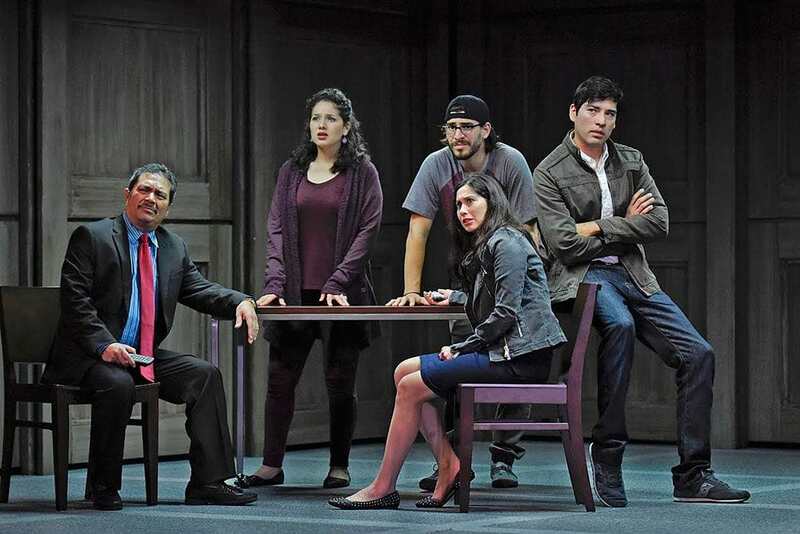 Dallas Theater Center and Cara Mia Theatre Co. are co-producing the world-premiere of “Deferred Action.” Directed by Cara Mía’s Artistic Director David Lozano, Deferred Action is written by Lozano and Lee Trull, DTC’s Director of New Play Development. The new play introduces audiences to Javier Mejía, one of the immigrants called “Dreamers” who first came to the U.S. as an undocumented minor. After years in the states, he is caught in the tangle of existing immigration laws, new presidential policies, and living in the shadows. With hopes that temporary administrative mechanisms like Deferred Action will be the answer to their dilemma, the play follows the lives of those “Dreamers.” Democrats. Republicans. Activism. Politics. It’s all just another border to cross. “Deferred Action” is now playing at the Wyly Theatre through May 14. It features company members from both DTC and Cara Mía. Tickets are on sale now at www.DallasTheaterCenter.org or by phone at (214) 8800202. “It is a joy for all of us at DTC to collaborate with artists from the dynamic and inspiring Cara Mía Theatre Co.,” said DTC Artistic Director Kevin Moriarty. “David Lozano is as smart and passionate about politics as he is about making theater. Deferred Action speaks to our current world of electoral politics in ways that are more powerful and surprising than we could have imagined several years ago when we first started creating this play. Cara Mía’s Artistic Ensemble member Ivan Jasso will play the role of Javier Mejía, alongside fellow ensemble members Frida Espinosa Müller as Abue, Stephanie Cleghorn Jasso as Ximena, and Rodney Garza as Carrasquillo. Brierley Resident Acting Company members Chamblee Ferguson (All the Way, Medea, The Rocky Horror Show) will play the role of Jim, Brandon Potter (All the Way, A Christmas Carol, King Lear ) as Jerry, Christie Vela (Romeo and Juliet, Les Misérables, King Lear) as Nancy Rodriguez, and Steven Michael Walters (All the Way, Les Misérables, Clybourne Park) as Dale Jenkins. Additional cast members are Elizabeth Ramos as Lisa and Arturo Soria as Robby. Set designer is Timothy R. Mackabee, costume designer Niki Hernandez-Adams, sound designer Aaron Mecht, lighting designer Clifton Taylor, projection designer Caite Hevner Kemp, and wig designer Valerie Gladstone. DTC’s Come Early sponsored by Wells Fargo will take place one hour before every performance and DTC’s Stay Late presented by Dr Pepper Snapple will take place after each performance. Presented by Performing Arts Fort Worth, Benny Andersson and Björn Ulvaeus’ MAMMA MIA!, the smash hit musical based on the songs of ABBA, returns to Bass Performance Hall for a limited engagement May 20-22. Inspired by the storytelling magic of ABBA’s songs, from “Dancing Queen” and “S.O.S.” to “Money, Money, Money” and “Take a Chance on Me,” MAMMA MIA! is a celebration of mothers and daughters, old friends and new family found. Tickets start at $55; to charge tickets by phone, call (817) 212-4280 in Fort Worth; 1-877-212-4280 (toll free) outside Fort Worth; or order online at www.basshall.com.